Arsenal are reportedly already looking unlikely to take up the option of making Denis Suarez’s loan transfer from Barcelona a permanent one. The Spain international has not yet had much opportunity to make an impression at the Emirates Stadium, but it seems his future is already in doubt. According to Don Balon, the Gunners are not currently planning to sign Suarez beyond the end of his loan spell this season after his failure to impress in training. Given that Suarez played under Arsenal manager Unai Emery at Sevilla, one could certainly have expected more of an immediate impact. However, it looks increasingly likely he’ll be heading back to Barca at the end of the season in a move that won’t make senior stars like Lionel Messi too happy, according to Don Balon. This looks the latest Emery signing to backfire for Arsenal, with summer additions like Sokratis Papastathopoulos, Stephan Lichtsteiner and Bernd Leno also questionable so far. 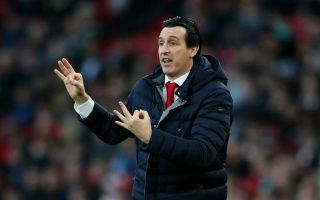 The only success stories have been Lucas Torreira and Matteo Guendouzi, but if Suarez flops one has to question the current set-up at the Emirates Stadium.